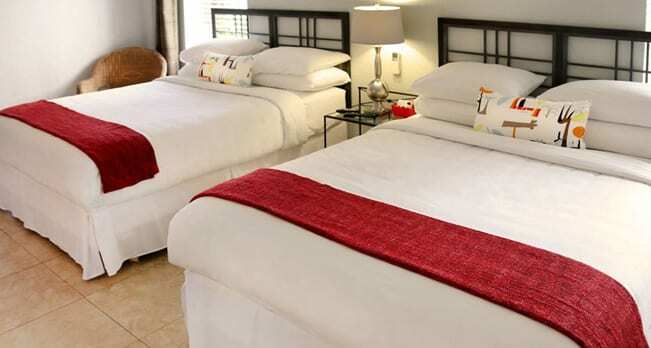 Located in Wilton Manors, the heart of gay Fort Lauderdale, the Cabanas Guesthouse and Spa is a clothing optional resort and has been voted Best Gay Guesthouse and Best Men’s Day Spa for 4 years in a row. With amenities like an all-male day spa, two pools, sauna, jacuzzi, breakfast and more, the Cabanas has everything for a perfect getaway. Plus, the grounds are like no other, with one of the best waterfront locations the area has to offer. Enjoy the beauty of our lush tropical gardens and unbelievable water front views. 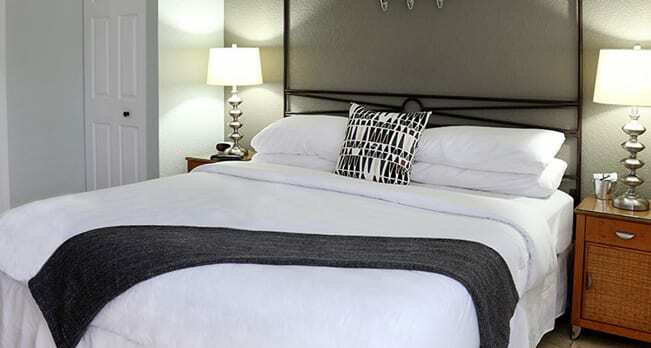 We have everything you want for the perfect getaway. All of our rooms are modern contemporary and especially amazing are our one and two-bedroom suites with terrace views of the water. 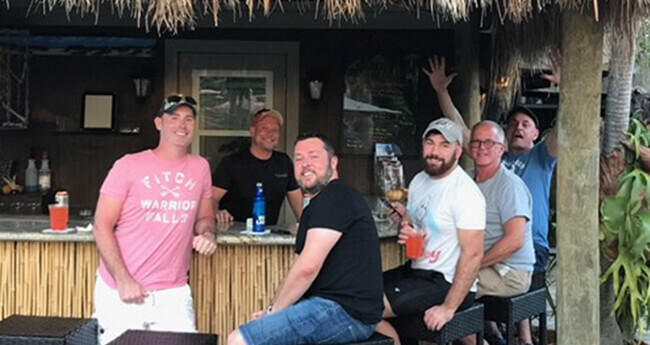 The Cabanas is the only Wilton Manors guest house that provides these amenities plus a secluded environment perfect for those who prefer a clothing optional alternative. Nestled on quiet grounds while still being just a few minutes away from Wilton Drive where you’ll find the greatest shopping, dining, entertainment and nightlife that South Florida has to offer. You’re within a short walk or Uber ride to places like world renowned Hunter’s Night Club, Rosie’s Bar and Grille and so much more. See our Gay Directory for a complete list of venues on the drive. 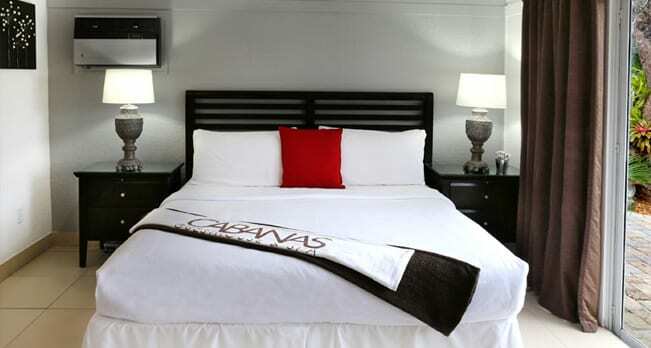 We also consider our guest one of the best things the Cabanas has to offer. With a friendly social atmosphere many of our guest come back year after year and form lifelong friendships with us and others. Visit us today and you’ll see why the Cabanas Guesthouse and our Spa was voted the best guesthouse and men’s day spa 5 years in a row. I travel a lot and stay in many gay resorts. This is one of the best and I share this fact with friends and clients. Everyone is so kind and fun, the place is so clean and lush, we even stayed an extra day. Staff were first class made me feel very welcome and took a great deal of time making sure that we were comfortable and relaxed. I have been coming here for years and, each time, the place just keeps getting more beautiful. When people ask where I was staying I always said “The Cabanas. Very quiet. VERY lovely. Two pools. Central to everything.” I’ve even told people back here at home in St. Petersburg about your place. The cabanas is the only place we will stay when in Fort Lauderdale. ALWAYS pleased with everything!! Gazing up at the stars in the pool framed by palm trees while floating weightless, gentle breezes caressing my naked body. Heaven! Tony G. and Fred S.
Go above and beyond what you would dare to expect. Beautiful stunning private rooms. This room features a queen size bed, coffee bar with mini refrigerator, air conditioning, private bathroom, and a flat screen TV/DVD combo. This waterfront room features a queen size bed, wet bar with mini refrigerator, air conditioning, a private bathroom, flat screen TV/DVD combo, and a semi-private deck with panoramic views of the waterways. 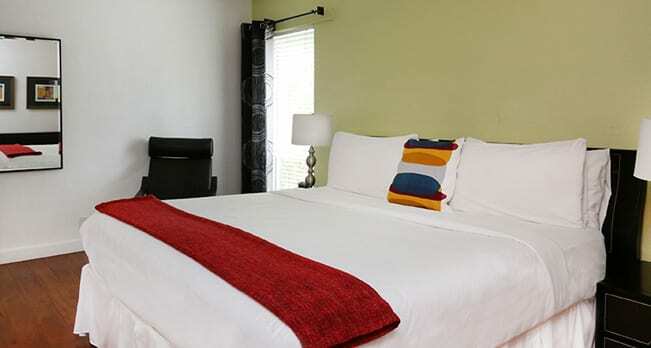 This room features two double beds, air conditioning, private bathroom, coffee bar with microwave and mini refrigerator, and a flat screen TV/DVD combo. 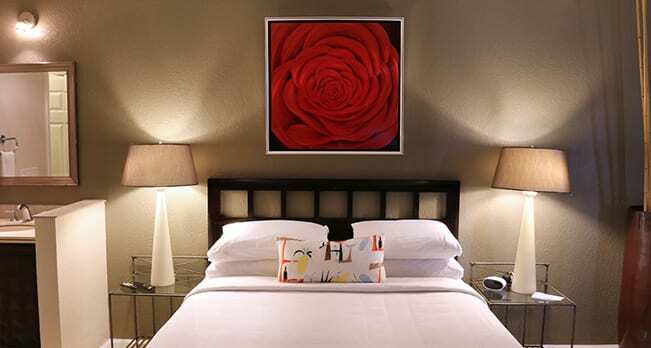 This room features two queen size beds, Mr. Slim quiet air conditioning, a large private bathroom, full kitchen with granite counters and glass top stove, and a flat screen TV/DVD combo. 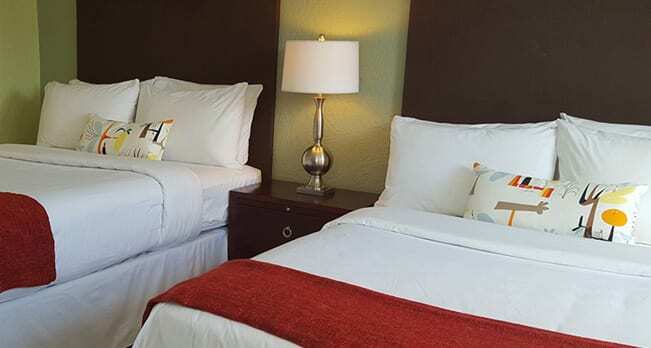 This room features a king size bed, wet bar area with microwave, small refrigerator, coffee maker, air conditioning, and a flat screen TV/DVD combo. This waterfront room features panoramic views of the waterways, semi-private patio area, king size bed, air conditioning, full kitchen, private bath, and a flat screen TV/DVD combo. 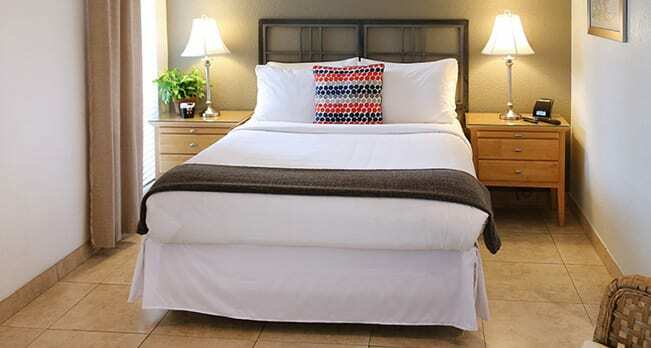 Our panoramic waterfront one bedroom suite features a formal living/dining room with glass sliding doors and a large private patio, kitchen, separate king bedroom, private bathroom, washer and dryer, air conditioning, and a flat screen TV/DVD combo. Paradise awaits you in our 1,000SF, second floor, 2 bedroom 2 bath suite. This room features panoramic views of the beautiful waterways and lush foliage with central air conditioning, and flat screen TV/DVD combo.